Ian Rankin was in Ottawa on Saturday 30 November 2013 to talk about his new book, Saints of the Shadow Bible. Earlier that day, he was having a drink in a pub when he started chatting with one of the customers there. The guy noticed that he was Scottish, and asked Rankin what he was doing for a living. When the author told him, the guy said he was actually reading a book from a Scottish writer. He couldn’t recall the name of the author though. He thought it was Ian something. 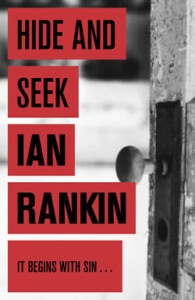 Rankin offered the name Banks, as Iain Banks is also a famous Scottish writer. But after a while the guy remembered the last name as Rankin. When Ian told him that he was the author, the guy wouldn’t believe him, and the writer had to show him his passport. The guy ended up buying a drink to Rankin, amazed and happy about this chance meeting. This was one the stories Ian Rankin told us that night during the Ottawa Writers Festival penultimate event of the season. The author is a down-to-earth fellow with a great sense of humour. He is also very generous. A few years ago, there was an auction for a charity, and the prize was the chance to have your name in Ian Rankin’s next book. A woman by the name of Laura Smith won, and the author incorporated her in Saints of the Shadow Bible. It wasn’t a cameo though, it was a full-fledged character. Laura Smith was in the audience last Saturday, and she came onstage to read with Ian Rankin a dialogue between her character and John Rebus. It must have been pretty cool to be a part of this! Knots & Crosses is the first book in the Rebus series, and it is a reworking of the classic Dr. Jekyll and Mr. Hyde. John Rebus, a complex and troubled man, is a detective sergeant who is investigating the kidnapping and murder of two eleven-year-old girls in Edinburgh. He is haunted by his past in the army, and his investigation suffers because of this. Jim Stephens, a journalist for the local paper, has uncovered a drug story that might involve Rebus, and he is determined to find out the truth. Both men have unconventional means to reach their ends. This enhances the suspense and makes the story more interesting. 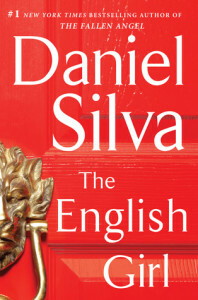 But there is also a third main character in this book: Edinburgh, a city with so many different layers. 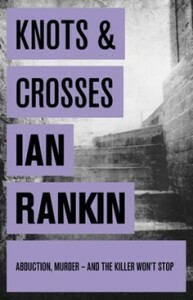 Knots & Crosses is a promising start for the Rebus series. 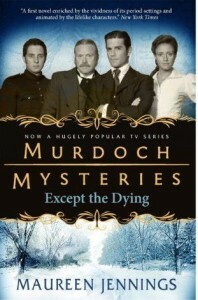 I’d like to know more about the detective and about Edinburgh. This can only mean one thing: I have to get my hands on Hide and Seek. 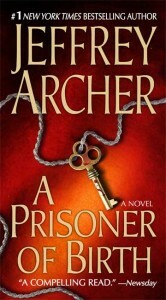 So stay tuned for more reviews about this series. In the first draft of Knots & Crosses, John Rebus died at the end. Both Ian Rankin and John Rebus were born in the Kingdom of Fife and lost their mothers at an early age. The author is inspired by real-life crime stories he reads in the paper.